When it comes to idyllic western landscapes, Clarks Fork Canyon Meadows certainly fits the description. 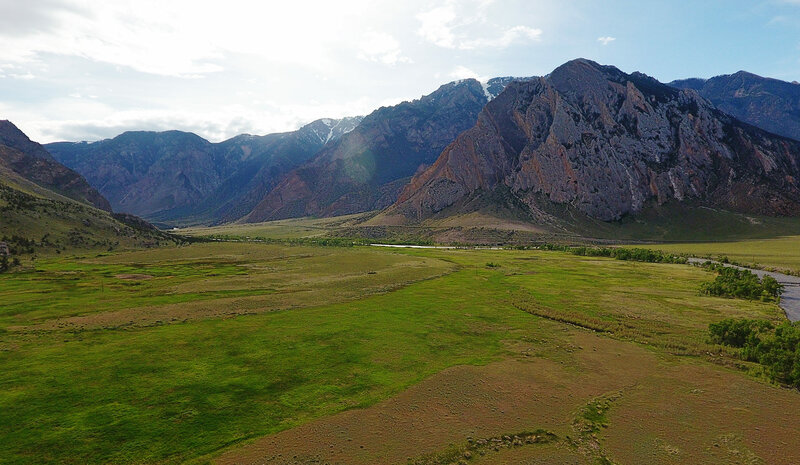 With 160 deeded acres at the base of the Absaroka Mountain Range, straddling the Clarks Fork of the Yellowstone River and at the mouth of the majestic canyon, Clarks Fork Canyon Meadows takes in one of the most breathtaking scenes in the west. The adage applies very well in this case - “The house is yet to be built, but the view and landscape are finished to perfection”. 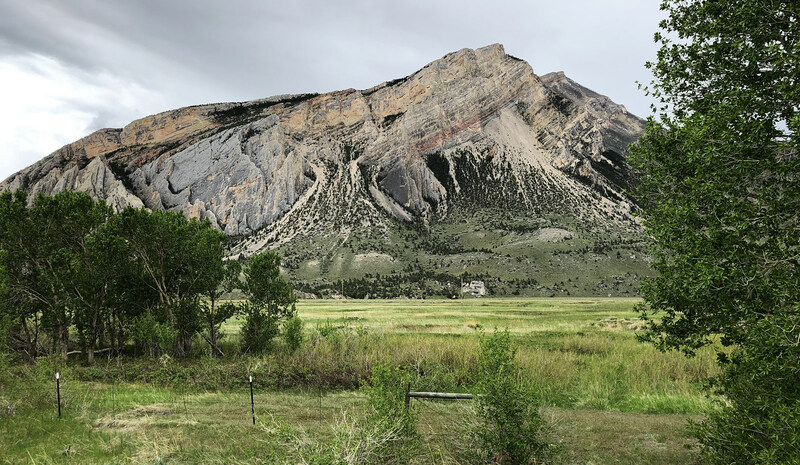 Located approximately 38 road miles northwest of Cody, Wyoming, via Highway 120 and Canyon Road, the Property is extremely private. 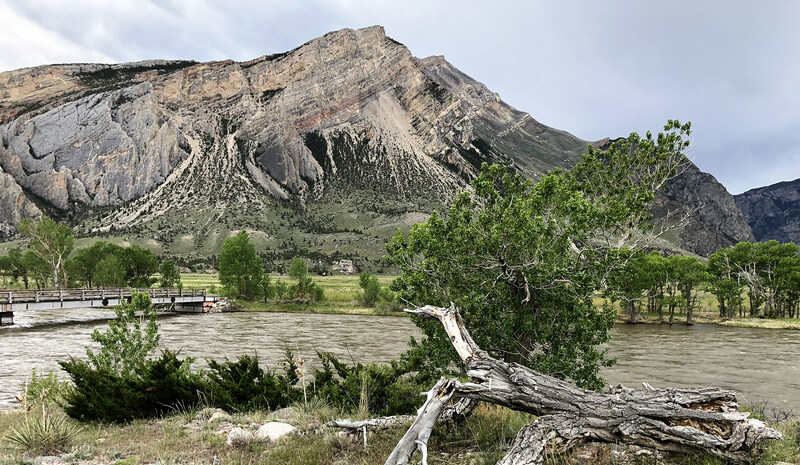 With a private bridge across the Clarks Fork Yellowstone River, the Property has a feeling of place and purpose. Cody, with a population of approximately 9,520, is a very historic and entertaining western town. This welcoming town has nightly rodeos from June 1 through August 31, a historic downtown lined with interesting shops and restaurants, the Buffalo Bill Historical Center, guiding services for whitewater rafting, hunting, hiking, fishing, backpacking, and rock climbing, and is the logical resting spot before entering the east entrance of Yellowstone National Park. Flight services into Cody’s Yellowstone Regional Airport are available with regular flights to Denver and Salt Lake City. The Billings Logan International Airport offers additional convenient flight services to more destinations. The Ranch elevation ranges from approximately 4,300 to 4,500 feet above sea level. Cody experiences a semi-arid climate with highly variable conditions. With hot dry summers and minimal snow coverage in the winter, Cody enjoys approximately 300 days of sunshine per year. The average annual precipitation in Cody is 10.5 inches. Clarks Fork Canyon Meadows nestles against the base of the Beartooth Mountains of the Absaroka Mountain Range, straddling the Clarks Fork of the Yellowstone River, and is bordered by Wyoming State Land on the south and Bureau of Land Management land on the east and a portion of the north side. 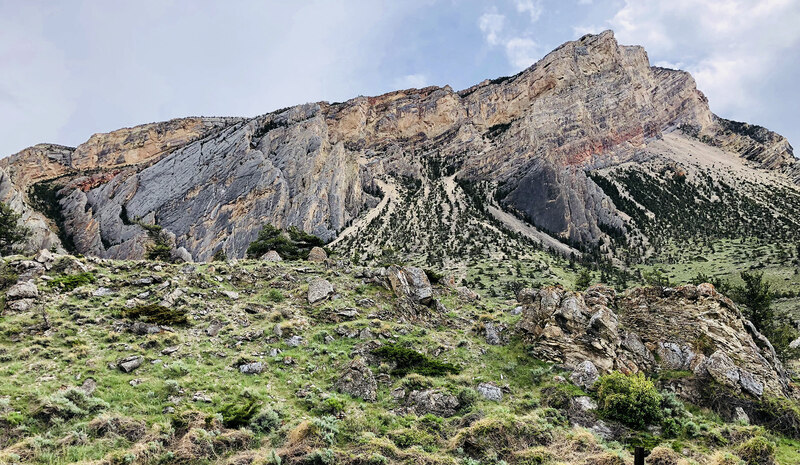 Nearby access up the Clarks Fork Canyon provides endless opportunities for hiking, hunting, fishing, floating, climbing, horseback riding and other outdoor recreational pursuits. Much of the land consists of sub-irrigated meadows and cottonwoods along the river, and slopes upward toward the granite cliffs along the canyon walls. Worthy of note is the presence of the private bridge across the Clarks Fork River which is the main access route onto the Property. This bridge is one of few bridges across this wild river that ever will be constructed. An uninhabitable homestead and corral are found on the Property. Many other building sites can be explored to capture views of the canyon and river. A power line conveniently transects the Property which provides additional siting options. 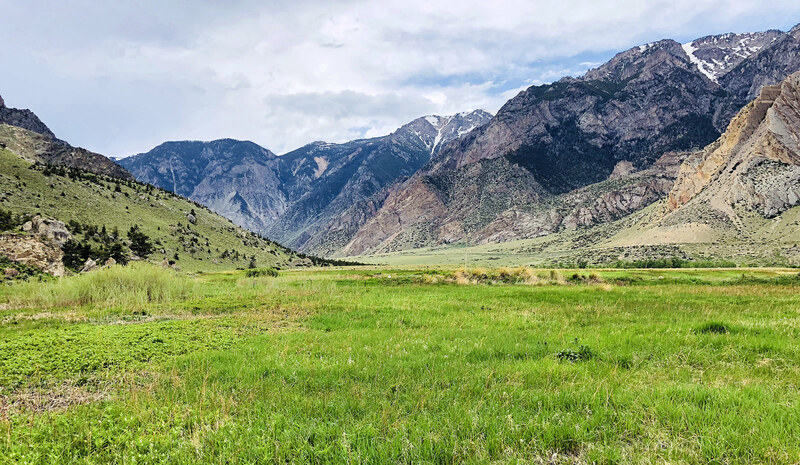 The Seller hereby makes known that there may be variations between the property boundary lines and the location of the existing boundary fences on Clarks Fork Canyon Meadows. The Seller makes no warranties with regard to the location of the fence lines in relationship to the property boundary lines, nor does the Seller make any warranties or representations with regard to specific acreage within the fenced property lines. The Seller is selling Clarks Fork Canyon Meadows in its “as is-where is” condition which includes the location of the fences as they now exist. Boundaries shown on any accompanying maps are approximate. The maps are not to scale and are for visual aid only. The accuracy of the maps and information portrayed therein is not guaranteed nor warranted. The Clarks Fork of the Yellowstone River Creek traverses the northern portion of the Property. 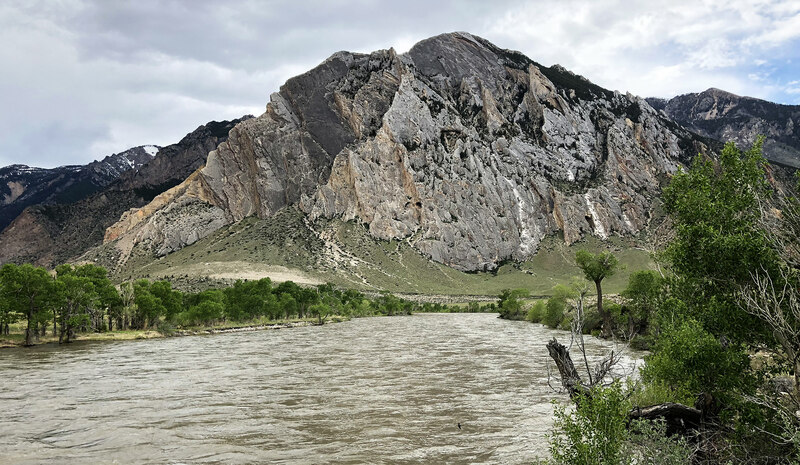 The Clarks Fork of the Yellowstone River originates in the Beartooth Mountains of Montana. 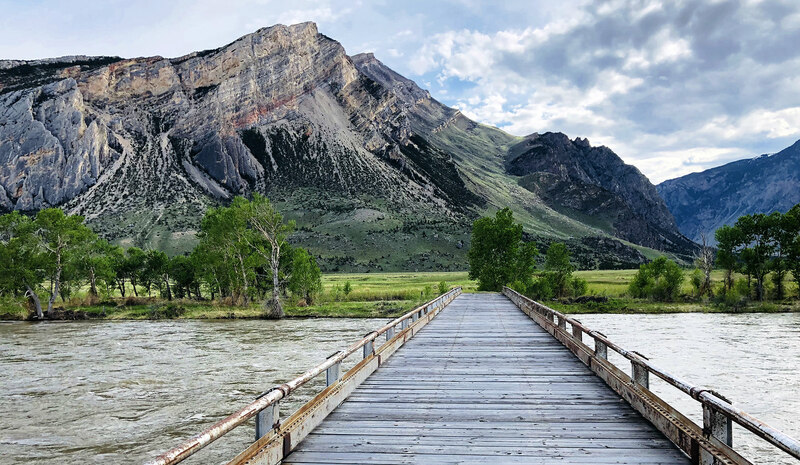 Hundreds of glacial lakes drain the Beartooth Plateau to form this significant river as it flows into Wyoming through deep canyons and eventually through this Property. Of the many spectacular rivers and settings in Wyoming, few, if any, compare to the sheer beauty and ruggedness of this river-carved canyon. Notably, this river is designated as a “Wild and Scenic” river for 20.5 miles along and through the Clarks Fork Canyon. This congressional designation adds a special status and additional protections for this stretch of the river to keep it in pristine condition. The Seller will convey with the Ranch 100% of whatever mineral, oil, gas, geo-thermal, hydro-carbon and gravel rights they actually own, subject to reservations by previous owners. The Seller makes no representation as to the quantity or quality of any mineral or other sub-surface rights appurtenant to the Property. The 2017 real estate taxes were $427.64. 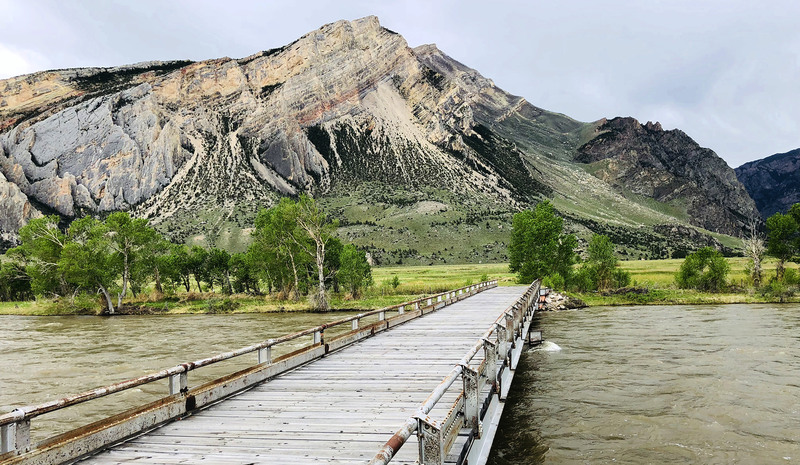 Cody, Wyoming is a destination. 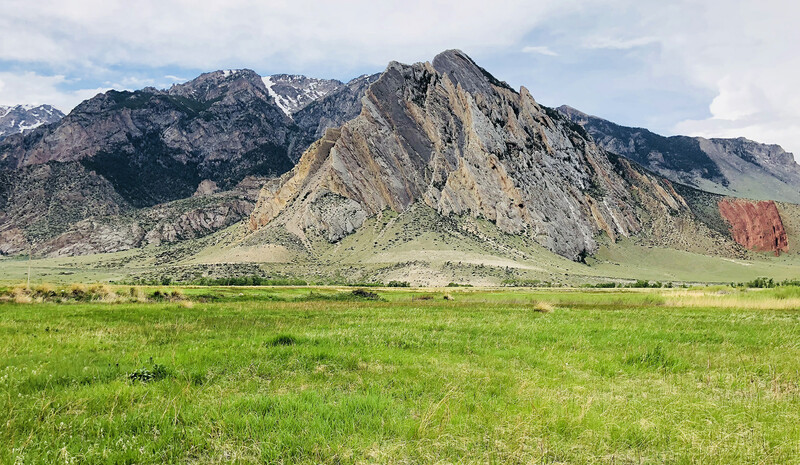 With a western flair and many outdoor recreational possibilities, it is one of the most desirable areas to live in Wyoming. The close proximity of the Shoshone National Forest and Yellowstone National Park make daytrips into the mountains a reality. Excellent restaurants in Cody provide many dining options. Billings, Montana, approximately 85 miles from the Property, adds additional options from sourcing building materials to attending a concert. This area is truly a recreational paradise. The Absaroka Range is noted for its rugged appearance and bountiful wildlife. Hiking, fishing, climbing, hunting, horseback riding, whitewater rafting, snowmobiling and kayaking are all pursued in this area. Wildlife on and near the property include elk, moose, deer, mountain sheep, bear, mountain lion, upland birds and a variety of waterfowl. 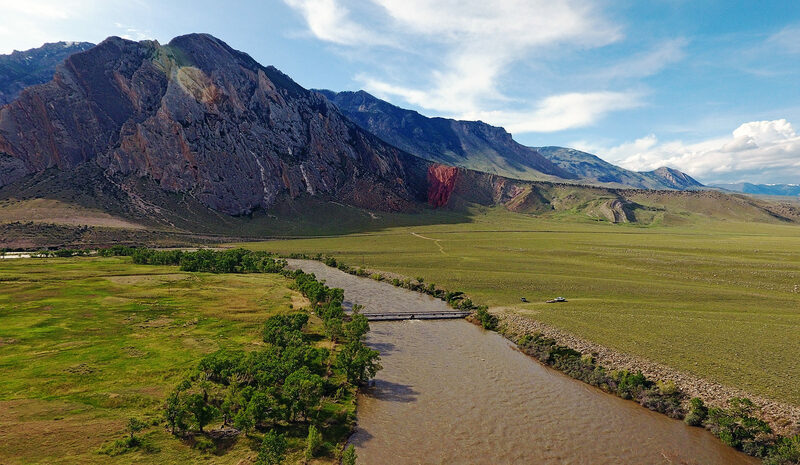 Fish in the Clarks Fork River system include the Yellowstone cutthroat, mountain whitefish, brown trout, rainbow trout, Snake River cutthroats and the occasional grayling. As a once in a generation opportunity, Clarks Fork Canyon Meadows is an offering to behold. 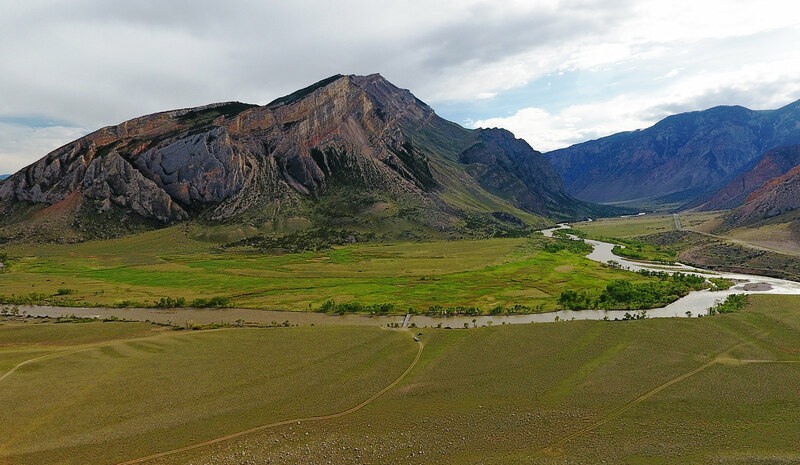 The combination of Clarks Fork Canyon views, private fishing in the Clarks Fork of the Yellowstone River, a private bridge across the “Wild and Scenic” river, and close proximity to a multitude of outdoor recreation possibilities puts this Property into a class of its own. Surrounded on three sides by public land, the neighboring landscape will be preserved for future generations and enjoyed by the fortunate new owner. This Property calls to those who are seeking something spectacular. Earnest money deposits will be placed in escrow with First American Title Company, Laramie, Wyoming. Buyers’ Brokers are welcome and cordially invited to contact Swan Land Company for information regarding Cooperation Policies and Commission Splits. The Seller reserves the right to effect a tax-deferred exchange for other real property in accordance with provisions in Section 1031 of the Internal Revenue Code. The Buyer will not be required to incur any additional expenses nor to step into the chain of title on any property which the Sellers may acquire. This entire Offering is subject to errors, omissions, prior sale, change or withdrawal without notice and approval of purchase by the Seller. Information regarding land classifications, acreages, carrying capacities, crop yields, potential profits, etc., are intended only as general guidelines and have been obtained from sources deemed reliable; however, accuracy is not warranted or guaranteed by the Seller or Swan Land Company. Prospective Buyers should verify all information to their sole and complete satisfaction.